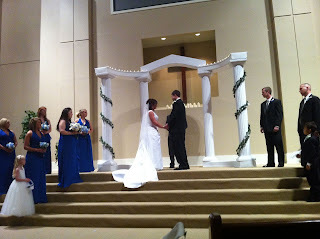 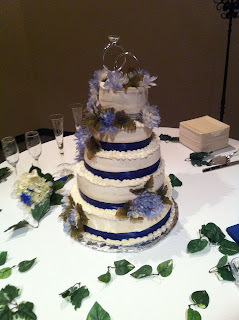 Here are some pics I took during the wedding. Some with my camera and some with my phone (so I could upload those to facebook immediately). 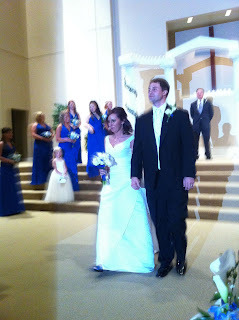 And no I did not feel ashamed holding my pink phone in the air to take these pics! 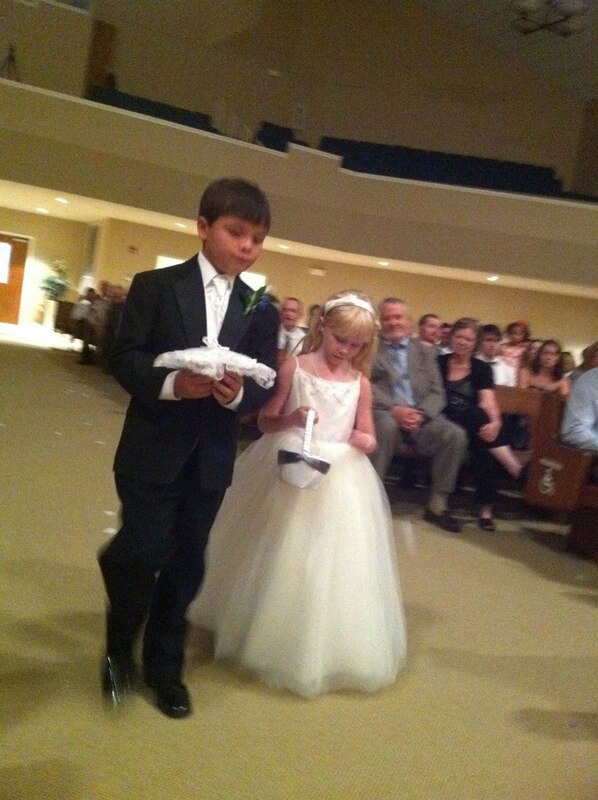 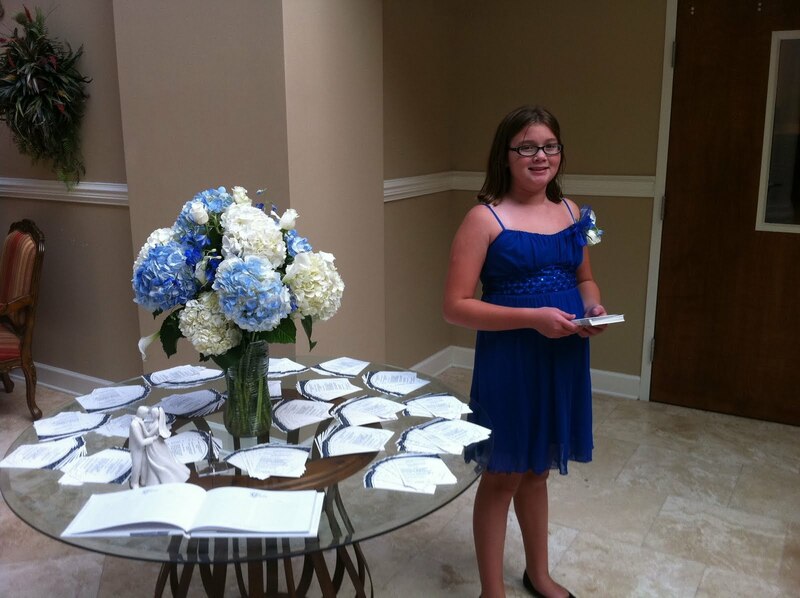 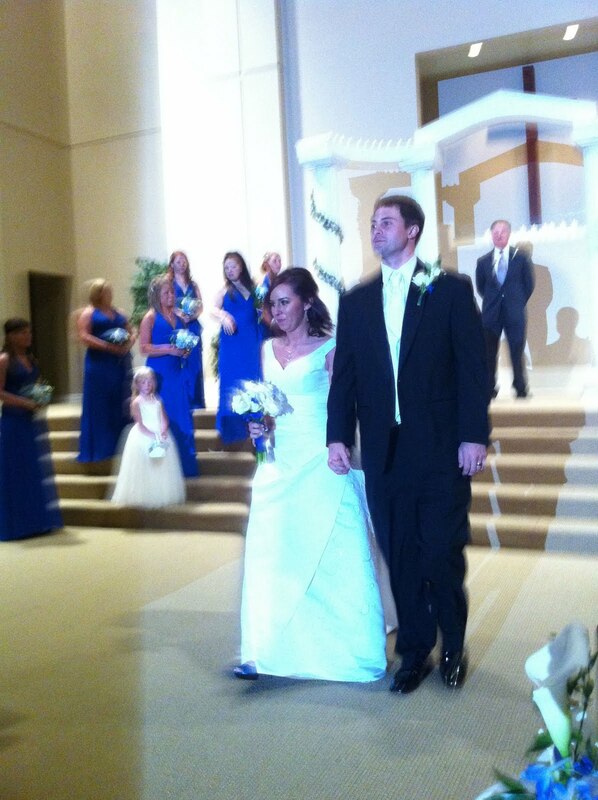 Since Kyle was the ringbearer, Kaitlyn stood at the door and passed out the programs.